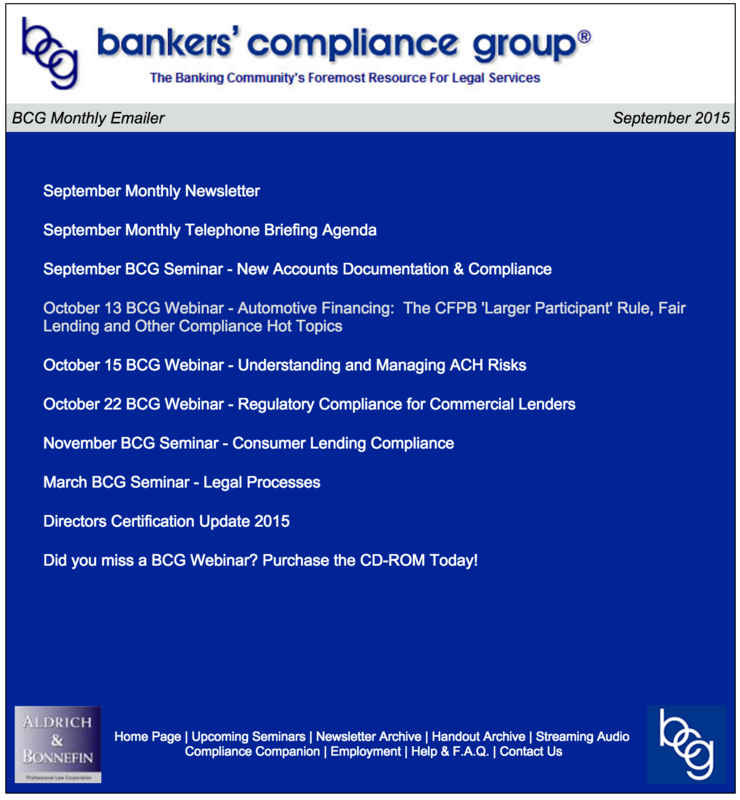 The BCG Monthly Emailer is our way of keeping BCG Members and Non-members "in the loop." 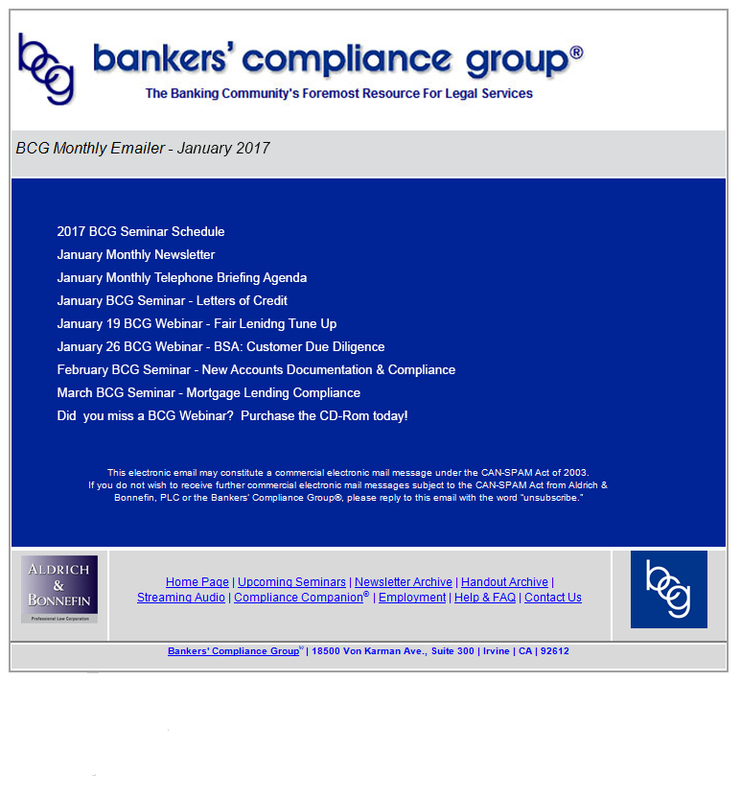 The Emailer is sent out on the second Friday of each month and provides links to information regarding the Monthly Telephone Briefing, upcoming Seminars, Webinars and the Monthly Newsletter (a sample is shown below). 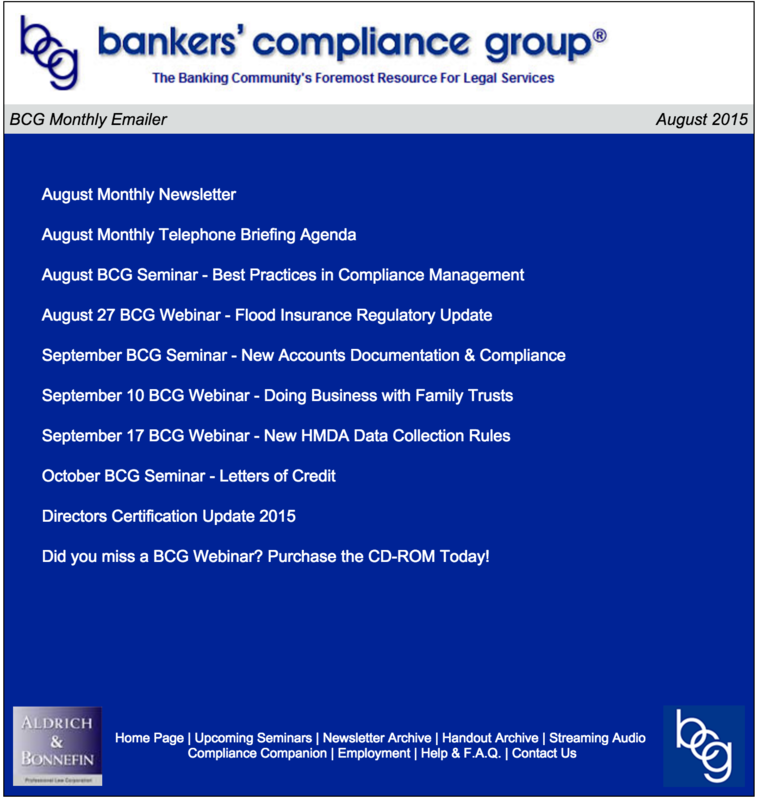 To subscribe to receive the BCG Monthly Emailer, click here.